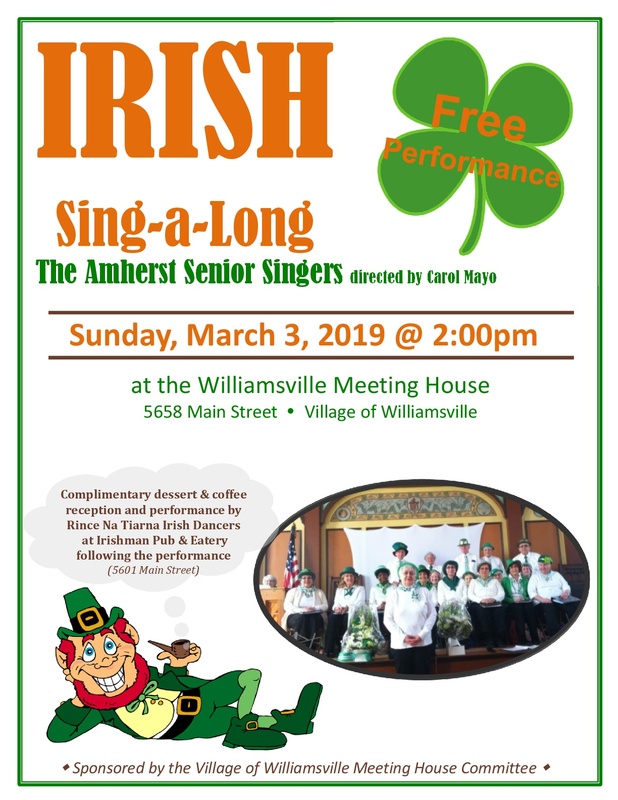 The Amherst Senior Singers, directed by Carol Mayo, will host an Irish Sing-a-Long show at 2 p.m. Sunday, March 3, at the Williamsville Meeting House, 5658 Main St. The event is sponsored by the Williamsville Meeting House Committee. Further details can be viewed on the below flyer.